This item has been added to the Database within the Explore Islamic Art Collections project. Information is available in: English, Arabic. 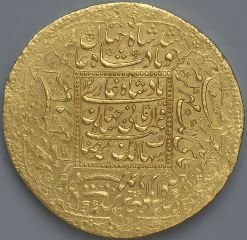 Gold one-hundred muhur presentation coin in the name of the Mughal emperor Shah Jahan (r. AH 1037-69 / AD 1627-58), struck at Lahore, dated AH 1048 / AD 1638-39, 12th regnal year. Such coins were presented to officals and nobles as an expression of appreciation and of the grandeur and generosity of the ruler. 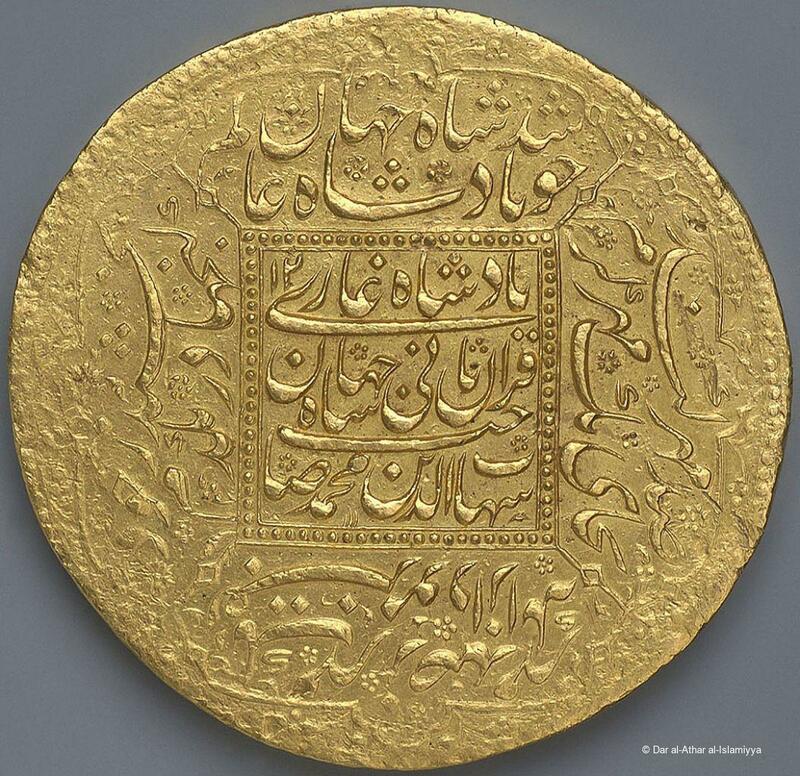 This one is inscribed in Arabic and Persian in nasta`liq script: on the obverse, "There is no god but God the One, [and] Muhammed is His prophet, struck in 1048, at the abode of the Sultanate, Lahore"; and on the reverse; "Shihab al-din Muhammad, Second Lord of the Auspicious Planetary Conjunction, Shah Jahan Padshah Ghazi, twelfth regnal year".